Dedicated professionals advocating for autism through training. 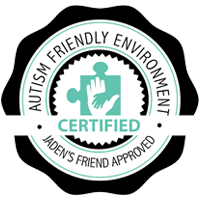 Jaden’s Friends are Dedicated Professionals who consult and train organizations that employ, support and/or provide services to individuals diagnosed with autism. We offer Advisory, Consulting, Training and Support. Our team members are passionate experts from diverse backgrounds and are industry leaders in the autism community. We provide our clients with the guidance, support and training necessary to successfully navigate the spectrum of autism. 4 Ways your Business may be Impacted by Autism? Employees may be providing care for children or loved ones diagnosed with autism. Consumers may be diagnosed with autism or have children or loved ones diagnosed. Vendors May be impacted or diagnosed with Autism. Why Your Organization should receive Jaden’s Friends Training. By the year 2025, Autism is estimated to impact 1 in every 2 children making it essential for most businesses or service providers to acquire some level of training in order to properly service this rapidly growing population. Who should receive our services? Businesses, Organizations, Non-profits, Religious Organizations, Schools, Government offices, Emergency responders etc. 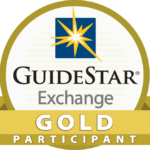 Recognition as an industry leader in eradicating stigmas associated with autism. Strengthened consumer, employee and community relations. Skilled, Intelligent, Reliable and Dependable employees diagnosed with Autism. Raise the expectations of families and individuals with intellectual disabilities regarding financial stability. Contact us to schedule a consultation for training today!